Considered the "mother culture" of Mesoamerica, the Olmec developed an iconic and sophisticated artistic style as early as the second millennium B.C. This pre-Columbian civilization, which flourished in the Mexican states of Veracruz and Tabasco between 1400 and 400 B.C., is best known for the creation of colossal stone portrait heads of its rulers. Some weighing up to 24 tons, the monumental heads are among ancient America's most striking and beautiful masterpieces. In the fifteen years since the last major study of the Olmec, archaeologists have made significant finds at key sites in Mexico. This sweeping project brings together the most recent scholarship, along with a diverse selection of more than 100 monuments, sculptures, adornments, masks, and vessels, many of which have never traveled beyond Mexico's borders, that paint a rich portrait of life in the most important Olmec centers, including San Lorenzo, La Venta, and Tres Zapotes. Particular attention is paid to the emergence of the culture, distinctive variations in the art of different city sites, and the chronology and reach of the society during its apex. 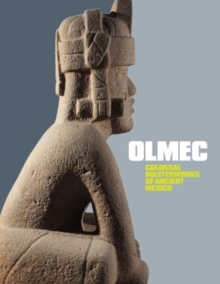 Centering on the concept of discovery, this wide-ranging volume presents a fresh look at Olmec civilization, recapturing the excitement that greeted the unearthing of the first colossal stone head in 1862.